The Bible presents the story of the conquest and destruction of Jericho by Joshua and the Israelite army as an historical incident. The location of Jericho is not disputed and excavations should be able to confirm that these events really happened. There should be evidence of toppled walls, a layer of ash caused by the deliberate conflagration above that, ceramic, and circumstantial evidence of a new people with a new culture. 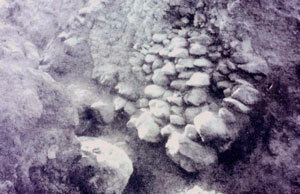 There is plenty such evidence but archaeologists have dated it to a time period 600 years before the Israelites arrived. 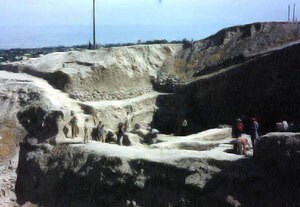 However, the archaeological strata have been incorrectly dated and all this obvious evidence can be correctly attributed to the Israelite invasion, thus vindicating the biblical record and supplying the archaeological world with a plausible explanation for the evidence of destruction for which it, at present, can find no historical information. Figure 1. Long-shot view of the remains of Joshua’s Jericho. Jericho is much in the archaeological news recently, so a review of the history and archaeology of this city is rather relevant. Excavations have yielded some spectacular results, and the interpretation of these finds has proven to be extremely controversial. According to the book of Exodus, about two million people, who had been slaves in Egypt, escaped in the Exodus and headed into the Sinai Peninsula. They came to Mount Sinai where they stayed for about one year. From Mount Sinai they proceeded to Kadesh Barnea where Moses sent out twelve men, representing the twelve tribes of Israel, to spy out the Promised Land. After 40 days they returned with the report that it was indeed a goodly land but ten of the spies said, ‘We are not able to go up against the people for they are stronger than we’ (Numbers 13:31). The other two, Caleb and Joshua, protested saying, ‘Let us go up at once and take possession, for we are well able to overcome it’ (verse 30). The majority sided with the ten pessimistic spies and wished that they had stayed in Egypt. Because of this lack of faith the whole congregation, except Joshua and Caleb, from twenty years old and upwards were doomed to wander in the wilderness for forty years and die there (Numbers 14:29–34). At the end of this forty year period the Israelites moved northwards from the Red Sea where Aqaba now is, skirting the land of Edom until they came to the River Jordan opposite Jericho. While encamped there Moses died and Joshua became the leader. The Jordan River was in flood, but according to Joshua 4:16 the water was dammed up at a city called Adam, ‘and all Israel crossed over on dry ground’ (Joshua 3:17). ‘the people shouted when the priests blew the trumpets. And it happened when the people heard the sound of the trumpet, and the people shouted with a great shout, that the wall fell down flat. Then the people went up into the city, every man straight before him, and they took the city. And they utterly destroyed all that was in the city … . They burned the city and all that was in it with fire’ (Joshua 6:20–24). Then Joshua placed a curse on Jericho and anyone who rebuilt it (verse 26). Nobody presumed to do so until some 550 years later when it was rebuilt during the reign of the apostate King Ahab (1 Kings 16:34) when it once more became an important city. ‘At that time’—time is crucial to the interpretation of archaeology. According to 1 Kings 6:1, the exodus must have occurred about 1445 BC and the conquest of Jericho forty years later about 1405 BC, but the evidence for the destruction of Jericho occurred at the end of the Early Bronze Period which is usually dated to about 2000 BC. Let us look at the archaeological history of Jericho. As long ago as 1867, the Palestine Exploration Fund made a survey of sites in Palestine. As part of these activities Charles Warren dug some shafts at Tell es-Sultan, the Arabic name for Joshua’s Jericho. One shaft at the south end of the tell went down 3 m and struck some charred timber, but without any means of dating this layer, it proved nothing. In 1908 an Austro-German expedition under L. Sellinger and T. Watzinger tackled Jericho. As became the methodical Germans the work was meticulously carried out, but as pottery identification had not been developed in their day they also had no means of identifying the layers that they excavated. Figure 2. 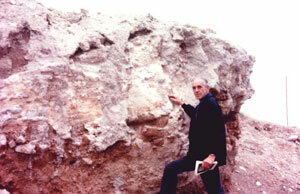 Part of Jericho’s Early Bronze wall which had tilted over at an angle of 45 degrees. The top half had toppled onto the ground outside. This would have allowed the Israelites to enter Jericho. People who had lived for forty years in tents could hardly be expected to have any aptitude for building. Figure 3. 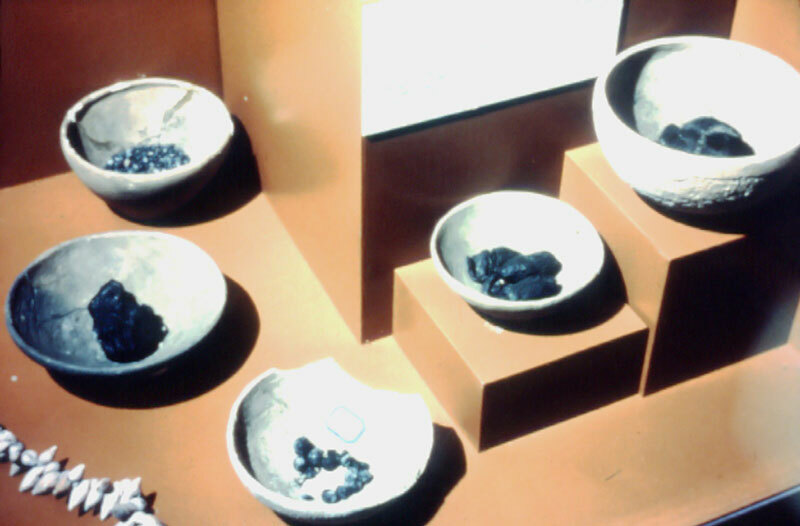 Carbonised barley and dates from Jericho, now in the Liverpool Museum. Figure 4. Shaft dug by Kathleen Kenyon in the centre of Jericho. All this was very gratifying to Bible lovers, but then in 1952 came Dame Kathleen Kenyon. She not only had the benefit of the archaeological knowledge that had accumulated over the 16 years since Garstang’s expedition, but introduced radical and superior new methods that were subsequently adopted by the archaeological world. These enemies then proceeded to systematically destroy the whole city. Figure 5. The writer points to a layer of pink ash nearly a metre thick, caused by intense fire in Jericho. Because Kenyon adhered to the traditional dating she was mystified as to who these invaders were, but it was very clear to her that they did not come from within Palestine. They were a totally different people. She concluded that these invaders were nomads, used to living in tents, were made up of separate tribes and were a religious people. But though they were desert nomads they were highly intelligent and inventive. They quickly introduced a new and better way of life. The furniture found in the tombs also demonstrated remarkable skill. Figure 6. 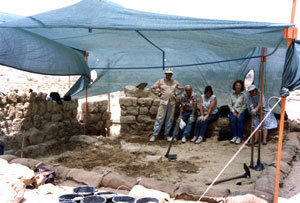 Volunteers starting excavations at a locus in Ein Hatzeva. Nothing could more aptly fit the biblical record of the Israelites coming in from their desert wanderings, crossing the Jordan at Jericho and occupying the Promised Land. These invaders wiped out most of the existing population and for a while continued to live in tents. So much for the early invaders. But after a gap in time, Middle Bronze II Jericho was rebuilt with an entirely new form of defence—powerful walls flanked by a glacis, a sloping ramp surfaced with smooth lime plaster. Enemies trying to attack the walls would first have to ascend this slippery surface to reach the walls themselves. Kenyon makes an interesting comment on the religion of Middle Bronze Age Jericho during this period: ‘Within the limited area in which the buildings of the period survive, there is nothing that resembles a temple, and no objects suggesting a ritual significance have been found.’24 This would be consistent with the biblical command. Dire threats were made against any who would offer sacrifice except at the door of the tabernacle which was later at Jerusalem (Leviticus 17:3,4). The remains of these MB walls are ‘the highest surviving point of the tell’.25 In other words, no Late Bronze walls; and this is one of the reasons critics have concluded that the Bible record is invalid. No walls when Joshua arrived. Kenyon charitably suggests that the Late Bronze town may have been washed away,26 but that is sheer conjecture. 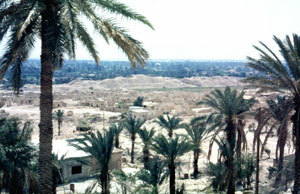 Jericho was again destroyed at the end of the Middle Bronze Age. The ash of the burnt city ‘is about a metre thick, and consists of streaks of black, brown, white and pinkish ash’,27 and Bimson has tried to identify this destruction as the Israelite invasion, but he faces the problem of continuity of culture between MB and LB. Bimson admits this and tries to explain it away by claiming that newcomers would adopt the life style of the country they conquered. The excavations at Jericho have produced striking evidence that parallels what could be expected from the Exodus and invasion of Palestine. But that is not the way it was at the end of the Early Bronze Age. There was a distinct break in culture as could be expected by people coming out of the desert from Egypt. But why look any further? The excavations at Jericho have produced striking evidence that parallels what could be expected from the Exodus and invasion of Palestine. Only a chronological revision is needed to match both records. Unfortunately the orthodox chronology is such a sacred cow to most scholars that there seems little hope of a universally accepted revision. But there are some prominent scholars who have recognized the need for revision. Dr Rudolph Cohen was the head of the Israel Antiquities Authority when I first met him in 1992. The following year I and my group of Australian volunteers excavated with Dr Cohen’s team in 1993 at Ein Hatzeva, 30 km south of the Dead Sea. Dr Cohen had been digging in the Negev (area south of Beer Sheba) for 25 years. During the Israeli occupation of the Sinai Peninsula he excavated at Kadesh Barnea. That was where Moses sent out the twelve spies and the Israelites waited 40 days for them to return (Numbers 13). ‘Who were the MBI people? We really don’t know … . In fact, these MBI people may be the Israelites whose famous journey from Egypt to Canaan is called the Exodus … . >‘I have been studying the MBI sites in the Central Negev for almost two decades now. The result of this study can, I believe, elucidate some of the outstanding issues … . New aspects of MBI culture, including burial customs and social structure, imply a new ethnic element. Thus, the MBI culture is also intrusive, migrating people who destroyed the existing urban centres must be involved … . In my view, the new MBI population came from the south and the Sinai, the route of the Israelites on that journey known as the Exodus. >‘God specifically instructed that these cities should not be rebuilt. Interestingly enough, after the EBIII destruction of Jericho and Ai, both cities lay in ruins for hundreds of years … . While excavating in Israel in 2004, I visited Yigal who lived not far from where we were digging. I asked him if he still holds the same views, and he assured me that he did. So while the majority of Israeli archaeologists adhere to the traditional identification of the archaeological strata, there is a division of opinion on the subject. But how can scholars fiddle with the dates of Egyptian history on which the chronology of ancient Israel is based? The average reader can buy beautiful books with shiny pages that quote dates that seem to be as firmly established as the dates for World War I. What most casual readers do not realise is that every book will have a different set of dates. In particular there is much confusion over the Third Intermediate Period (the TIP) of Egyptian history. There is little known of these dynasties 21–24 and some scholars maintain that they did not exist as independent dynasties, and there are other periods when one Pharaoh was ruling in the north while another Pharaoh was ruling in the south. Table 1. Comparison of the biblical record with archaeological discoveries. While I was in London in 2004 I talked with Professor Renfrew. In the meantime he had been promoted to the House of Lords as a result of his reputation as a distinguished scholar. Among other matters, I asked him if he still holds the views about chronology which he expressed in his forward to Peter James’ book. He assured me that he did and that he promotes it in his classes at Cambridge University. The dates of Egyptian history are by no means set in concrete—they are not astronomically fixed as some enthusiastic writers would have us believe. 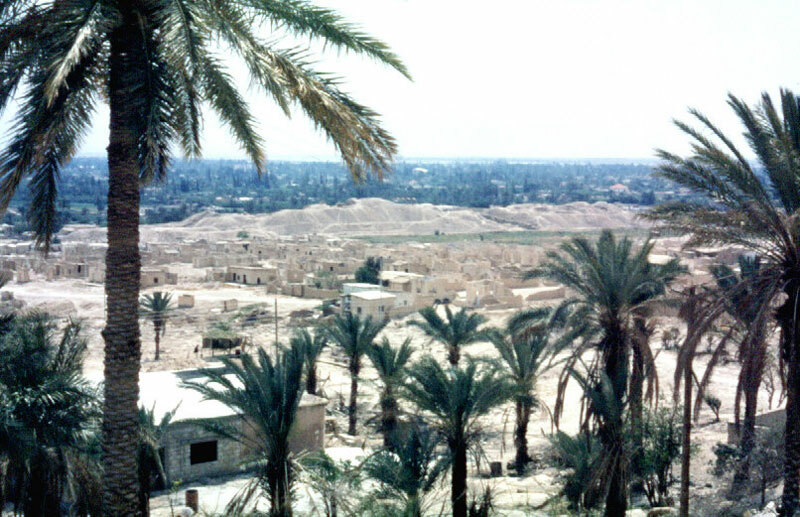 A reduction in dates for the dynasties of Egypt will be reflected in a reduction in dates for the archaeological strata in Israel, and if the end of the Early Bronze Period is recognized as the time when Joshua and his army destroyed Jericho, striking archaeological evidence will be found to support the biblical record (see table 1). Time, 18 December 1995, p. 54. Return to Text. Garstang, J., The Story of Jericho, Marshall, Morgan and Scott, London, 1948. Return to Text. Garstang, ref. 2, p. 133. Return to Text. Garstang, ref. 2, p. 20. Return to Text. Garstang, ref. 2, p. 46. Return to Text. Garstang, ref. 2, p. 91. Return to Text. Garstang, ref. 2, p. 99. Return to Text. Garstang, ref. 2, p. 101. Return to Text. Garstang, ref. 2, p. 136. Return to Text. Garstang, ref. 2, p. 141. Return to Text. Garstang, ref. 2, p. 142. Return to Text. Benn, E., Digging up Jericho, Ernest Ltd, London, pp. 47, 170, 1957. Return to Text. A visit to Jericho is still an exciting experience if you are with someone who can identify the relevant features. The annual Archaeological Diggings tour to Egypt and Israel can be recommended. Return to Text. Benn, ref. 12, p. 176. Return to Text. Benn, ref. 12, p. 189. Return to Text. Benn, ref. 12, p. 187. Return to Text. Benn, ref. 12, pp. 194–195. Return to Text. Benn, ref. 12, p. 207. Return to Text. Benn, ref. 12, p. 186. Return to Text. Benn, ref. 12, p. 241. Return to Text. Pritchard, J., Gibeon, Where the Sun Stood Still, Princeton University Press, NJ, p. 153, 1975. Return to Text. Benn, ref. 12, p. 211. Return to Text. Benn, ref. 12, p. 192. Return to Text. Benn, ref. 12, p. 253. Return to Text. Benn, ref. 12, p. 216. Return to Text. Benn, ref. 12, p. 262. Return to Text. Benn, ref. 12, p. 259. Return to Text. Bimson, J., Redating the Exodus, The Almond Press, Sheffield, pp. 130, 219, 1981. Return to Text. Cohen, R., The mysterious MBI people, Biblical Archaeology Review 9(04):28, July1983. Return to Text. Cohen, ref. 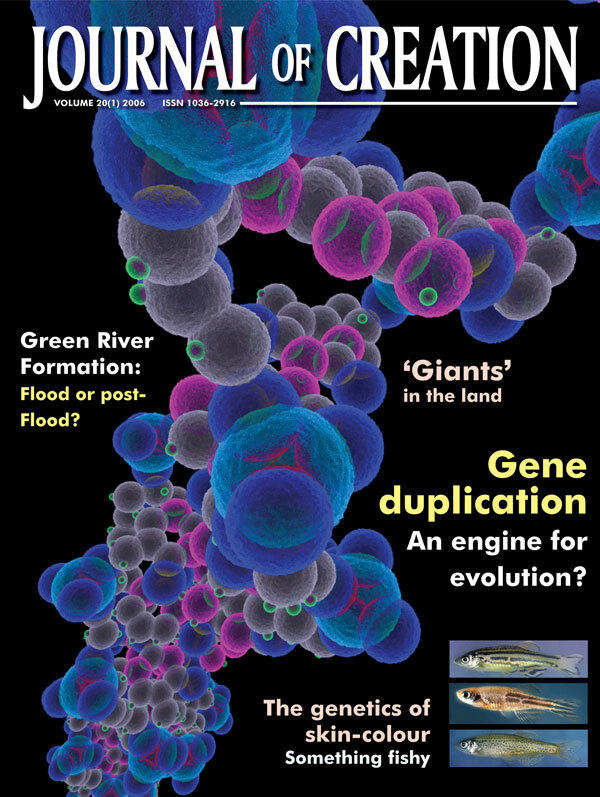 28, p. 29. Return to Text. James, P., Thorpe, I.J., Kokkinos, N., Morkot, R. and Frankish, J., Centuries of Darkness, Pimlico, London, pp. xv–xvi, 1992. Return to Text.